Frugal Mom and Wife: Get Cash Back For Shopping Online! Get Cash Back For Shopping Online! A great way to get a little back for all your glorious shopping. I use EBates to not only save but put cash back in my Paypal account. You don't need a Paypal account or have payment sent by check anymore. You can now get an Amazon gift card instead for your cash back payment!! 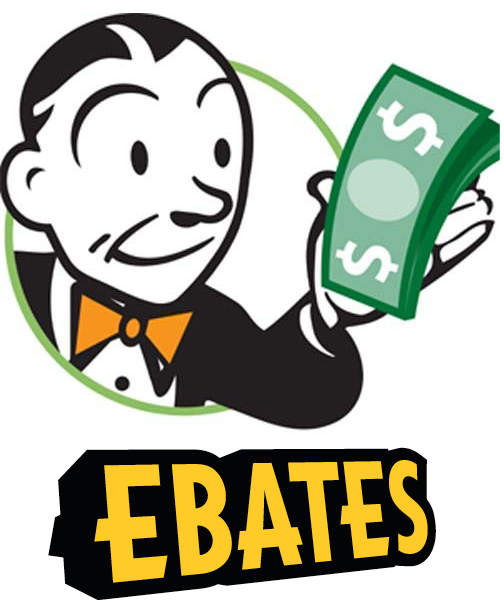 Every 3 months, Ebates will send you your cash back to use however you like. All you do is log into your Ebates account when you are about to check out and pay. For example, you have all the items ready in your cart at Target, log into Ebates and type in Target, click the link and it will then take you back to Target's website, you can then check out and get a % back for your purchase! Not only that, if your not a member yet, when you sign up and make your first $25 purchase through there site, you get a $10 gift card for Free! They are even giving cash back shopping on Amazon! That's how you get paid to shop by shopping smart. Click Here To Get Your Cash Back!